TEA added the SATE conference to its slate of industry events in 2007, to foster dialog in the business community about the methodology of Experience Design. The SATE acronym stands for Story + Architecture + Technology = Experience. SATE also alludes to a collaborative culture of production, in which designers, technologists and clients work closely together from the early stages of a project, in a team structure often more horizontal than hierarchical. 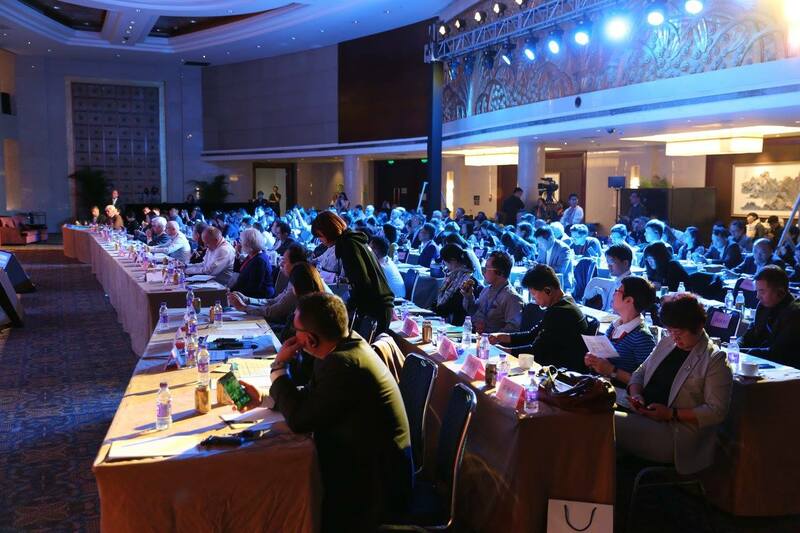 The Beijing event was the first time TEA has held the SATE conference in Asia. 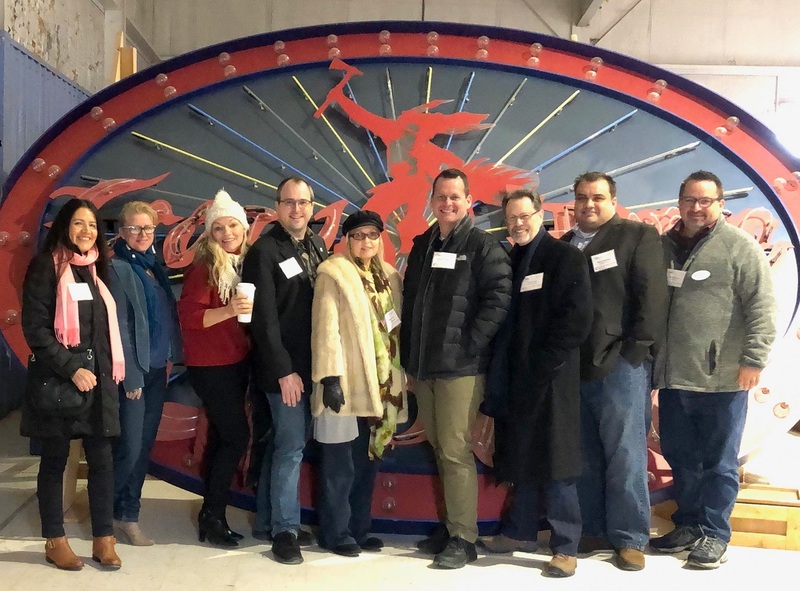 The motivation was to provide owner operators and their project managers and creative teams important context for developing and sustaining successful visitor experiences. 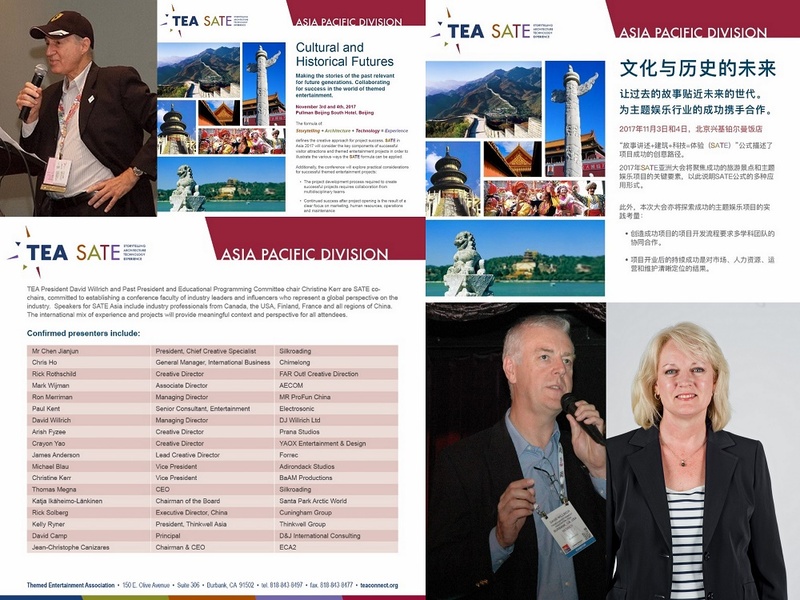 SATE Asia 2017 co-chairs were TEA International Board President David Willrich of DJ Willrich Ltd. and TEA Past President Christine Kerr of BaAM Productions, collaborating with the TEA Asia Pacific Division headed by Thomas Megna of Silkroading, and with support from GCM (Goyan Culture and Media). Why was it important to launch a SATE Asia at this time? David Willrich: It is important for the growth of the TEA in Asia to show the quality and standard of events we offer our members. 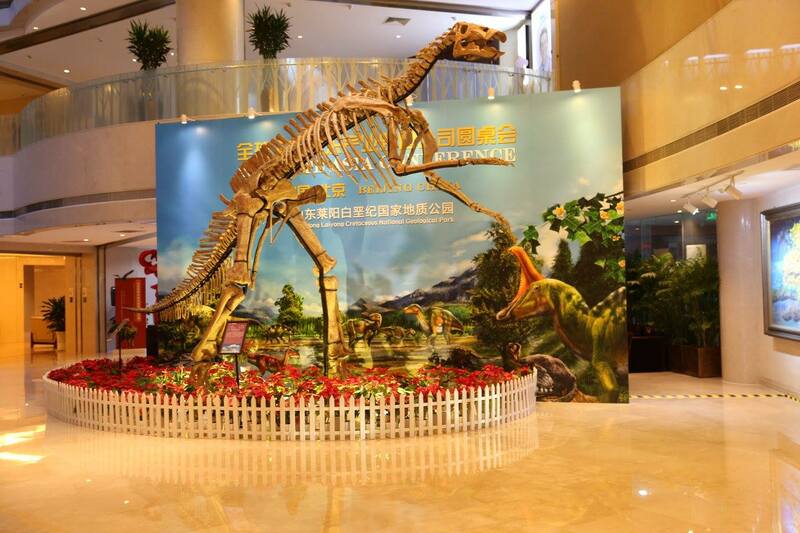 Although there are many other leisure industry events in China, the format and content of SATE are unique and essential to the industry. 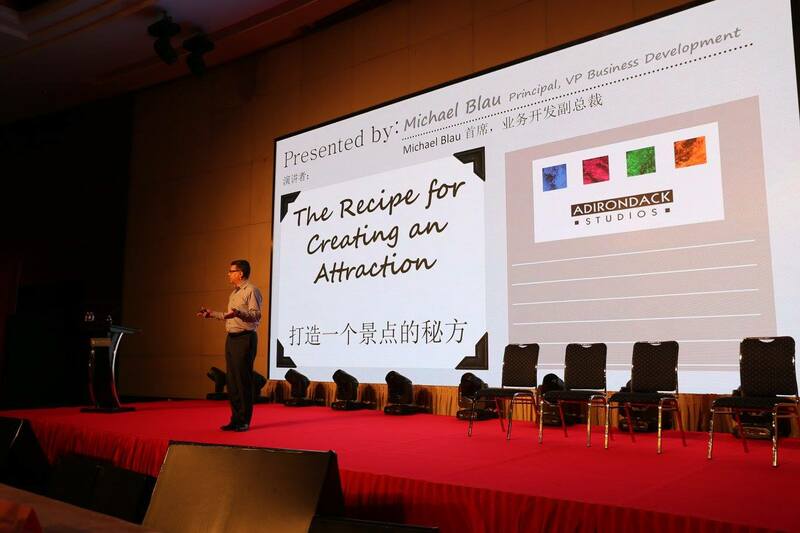 This is an ideal time to show that we are different and provide a high quality conference. Part of the reason for staging SATE was to show good examples of projects and best practices at work. Christine Kerr: The number of themed entertainment projects underway and the growth of TEA in Asia Pacific mean that there has been a growing demand for TEA to offer this conference in this region. We’d been in discussion about possible locations and the content focus for more than three years. It was very exciting, rewarding and quite an accomplishment to see the event actually happen! What are some of the ways you positioned and developed SATE for Asia being an emerging market for themed entertainment, in comparison to more mature markets? DW: We asked our speakers to go back to basics a bit more than they would for the SATE conferences in the US and Europe. 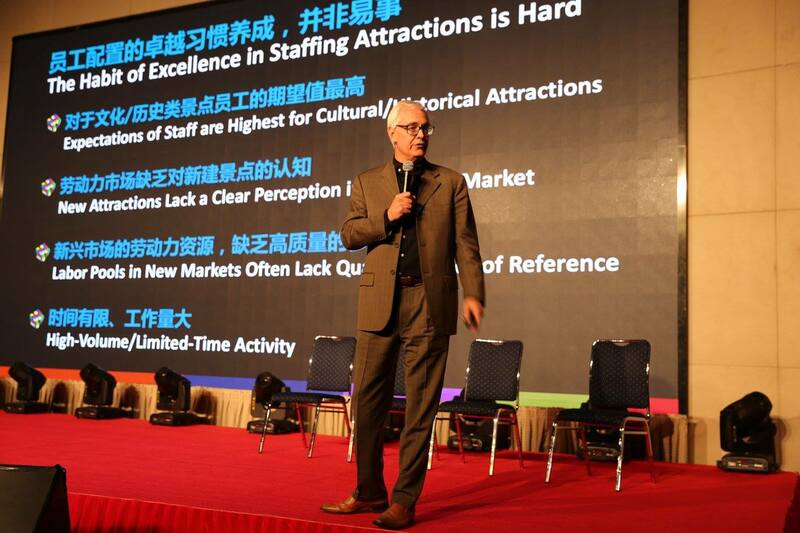 CK: There was a sub-theme for this conference that addressed the project development process, effective recruitment, hiring and training of staff and finally the importance of standards in marketing, operations and maintenance. This kind of information is less of a focus for SATE in North America or Europe but had been requested by many of our members in the Asia Pacific region. And it was very well-received by the attendees, prompting lots of great questions and dialogue. Our speakers shared many wonderful examples of how projects in the Asia Pacific region provide experiences that bring culturally significant stories to life in extremely creative and relevant ways. It was an excellent fit. What are some of the things that SATE Asia delegates most responded to? DW: Quality in every respect! Quality of speakers, presentations and the projects shown by speakers. The question-and-answer sessions were frequent and lively. CK: We also brought groups of speakers back up on stage for moderated panel discussions that revisited the key ideas presented. 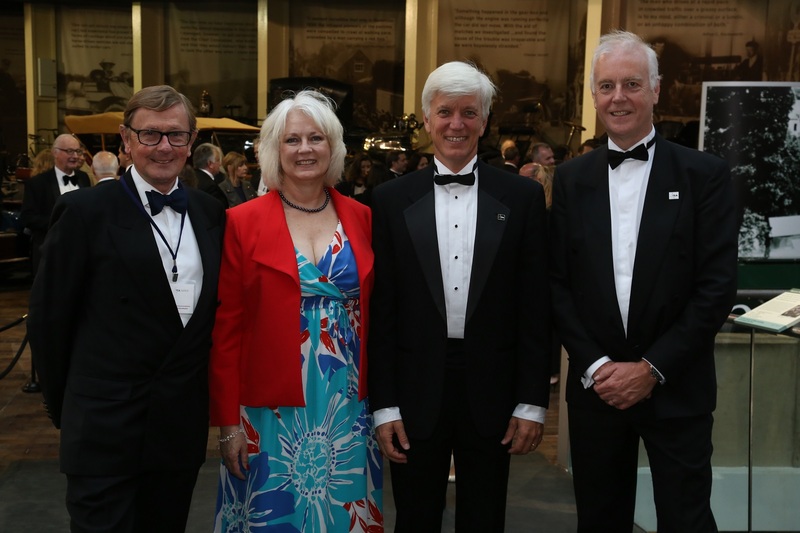 These conversations were a great way to emphasize points made earlier and were expertly moderated by industry veterans including Rick Rothschild, Kelly Ryner and Ron Merriman. How was Storytelling + Architecture + Technology = Experience (the SATE formula) received at SATE Asia? 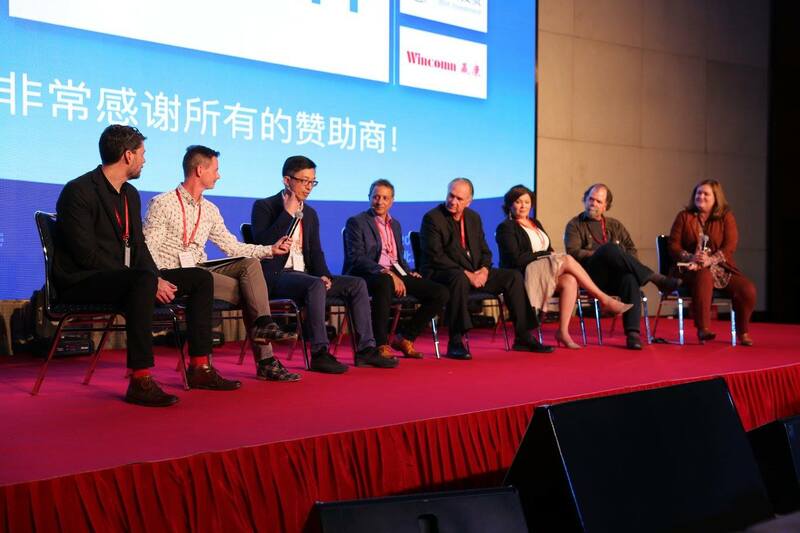 DW: Basically with the same kind of high enthusiasm as it has been at other TEA SATE conferences and globally, within the industry: The audience understood the acronym and the logic of what was presented. The feedback was incredibly positive, with many expressing an interest that we return to cover the territory more! DW: It was a full mix of professions and ages, with just under 200 people. What regions of China and Asia were most represented? DW: China, Taiwan, Hong Kong, Singapore, and Malaysia. 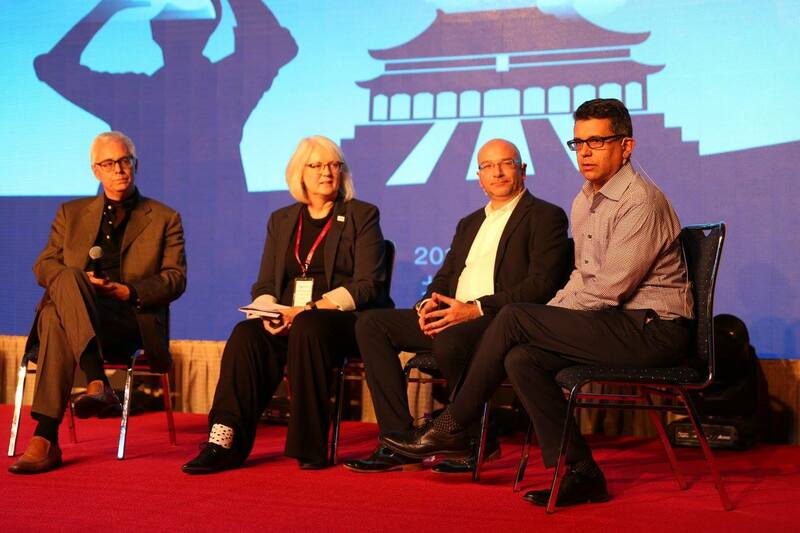 How did TEA international leadership and the TEA Education Committee collaborate with the TEA Asia Pacific Division on this conference? DW: Like anything that happens within the TEA it was a team effort, with each of us falling into a role and seeing it through. 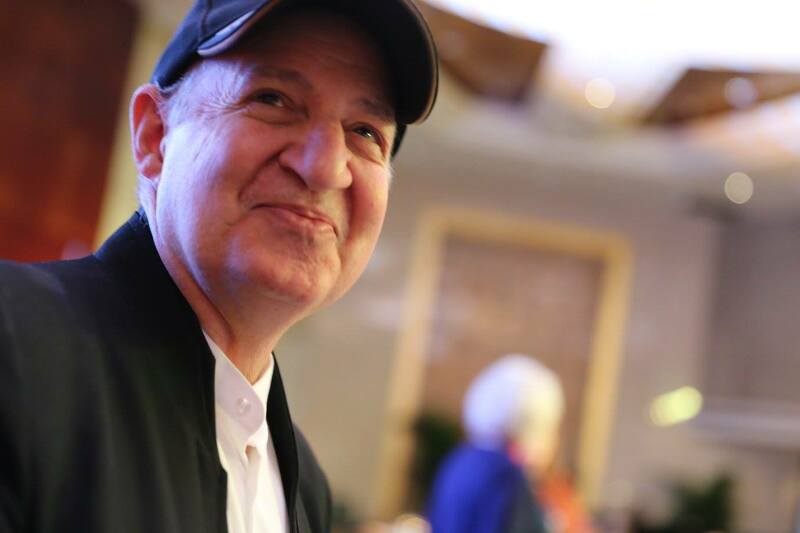 Thomas Megna was the man on the ground in Beijing and handled many of the logistics with support of the Asia Pacific Board members and other local volunteers. 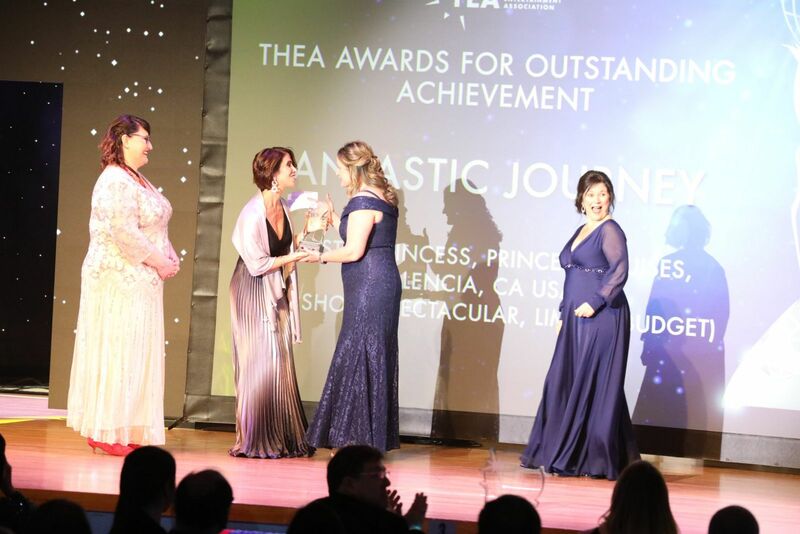 What does TEA SATE Asia provide that is unique and uniquely important for the developing attractions industry in Asia? DW: Quality insight into attractions and how best to create them! What were some important takeaways for you personally? DW: TEA's presence in Asia and China in particular is good for TEA and good for the industry. There is a huge hunger there for the TEA and the knowledge we bring. It helps connect TEA membership with clients and projects, it improves the dialog between suppliers and operators, it paves the way for better processes and better projects, it grows our association. CK: TEA and our members in the region represent quality, leadership and expertise to developers in China. It is a very timely opportunity for TEA to leverage this on many fronts. 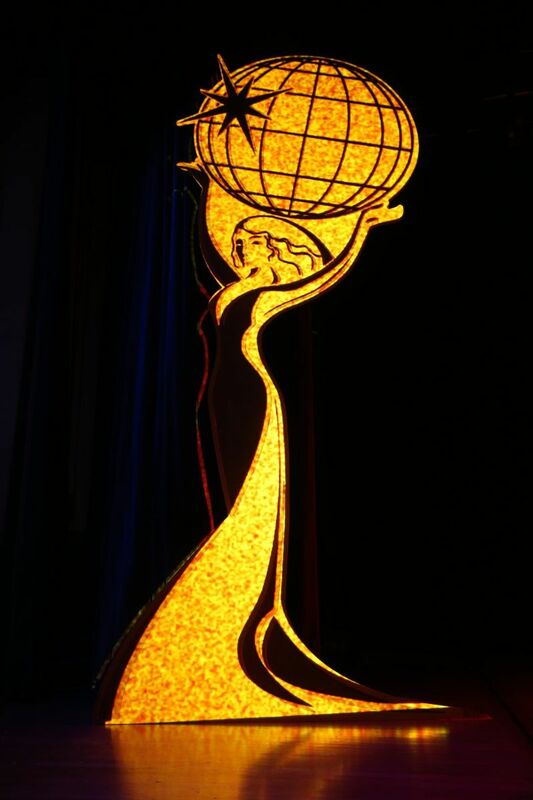 Who would you like to particularly acknowledge for their role in helping to successfully realize this conference? DW: Christine Kerr, my co-chair. Christine handled all the speakers and content management and scripted the flow of the conference. She took on a huge job and we worked well together. CK: TEA is now truly the global association it strives to be. It is a huge accomplishment to be able to say that we presented SATE conferences on three continents in 2017! I'd like to thank absolutely everyone who helped make that possible. How can people inquire about presenting, sponsoring or otherwise participating at the next SATE Asia? DW: The location in Asia has yet to be decided but people can contact any of the team to put themselves forward. In fact a few people already did just that in Beijing.